I wasn’t sure how successful my first birdfeeder would be when I set it up yesterday morning. I wasn’t disappointed! Within forty-five minutes, several female cardinals were the first to baptize the feeder, placed in the middle of our back yard, not far from a small tree. A male cardinal followed, and then even a blue jay — which I hadn’t seen in our yard before! Others came throughout the day, too. Finally, a little rabbit was up early this morning, checking things out. 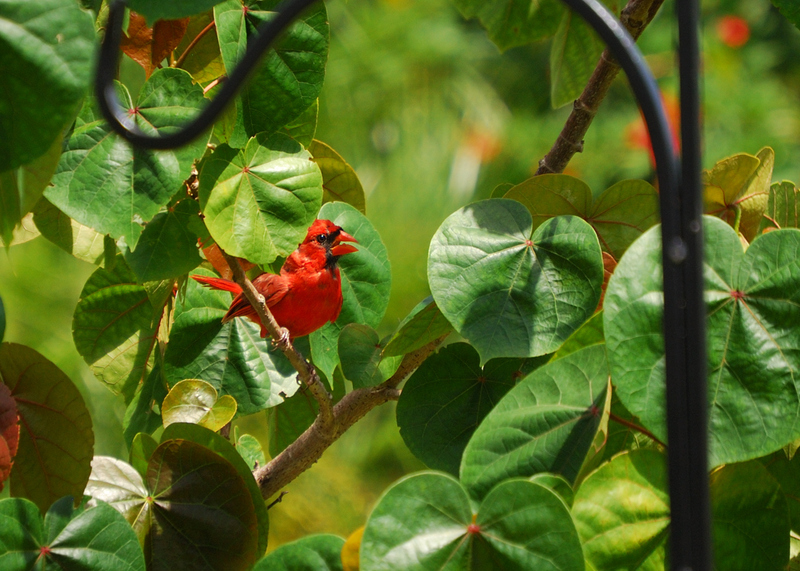 This entry was posted in Photos and tagged birdfeeder, bluejay, cardinal. Bookmark the permalink.